Don't Sleep is a small portable program to prevent system shutdown, Standby, Hibernate, Turn Off and Restart. Especially when old Programs run on Windows-7 or Windows Vista. 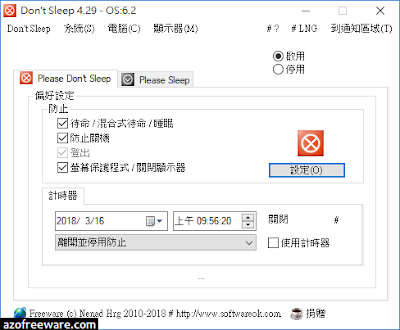 Here's more aggressive power-saving features with new rules.But not only that, it also prevents loggin off the computer, and the deactivation of the monitor or activation of the screen saver.